Brain Damage Films will be releasing the horror cult thriller THE COOK on 3rd January 2017. It will be available on Amazon MOD and on most VOD platforms. A young TV actor is hunted by an occultist drug lord after he and his friends hold a memorial party for a deceased sister. 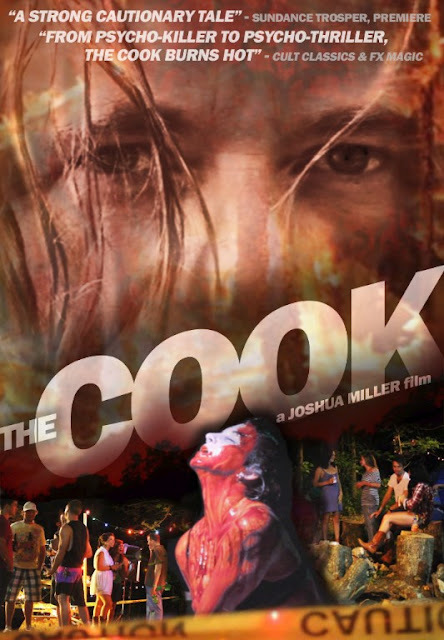 It is held in an abandoned park where the murderous, shamanistic "meth cook" lives. The night of the party a couple stumbles upon The Cook’s lab, an act that did not go unnoticed by the drug lord. One by one he begins to pick off the remaining party goers while testing the weight of their sin. Prophesied to be a savior at a young age, The Cook grew up to be a tester of faith and a punisher of the wicked. In this horror drama we see the mind of a drug-crazed killer with a divine purpose while sharing in the hallucinatory fears of his victims.